As the Marvel Cinematic Universe steamrolls into its thirteenth entry, it’s seeming to be less and less constructive to bemoan the super-franchise’s apparent inevitability. Sure, Captain America: Civil War pretends at ambiguity when its reactionary politics couldn’t be clearer (these superheroes are the ultimate “good guys with guns”). Yes, the film is bloated, with endless Cuisinart-edited shaky-cam fight scenes and a villain so non-threatening you might even forget he’s in the movie. You’d also be forgiven for asking yourself why, after so many films and so much setup, it still takes 90 minutes to get to the exciting stuff. So, yeah, you’re free to just opt out entirely—go right ahead. But it might be more fun, if you do stick around, to just focus on the supreme dorkiness of the whole affair—or, perhaps, the breezy interpersonal dynamics between a pompous tech billionaire and a 15-year-old high school geek. 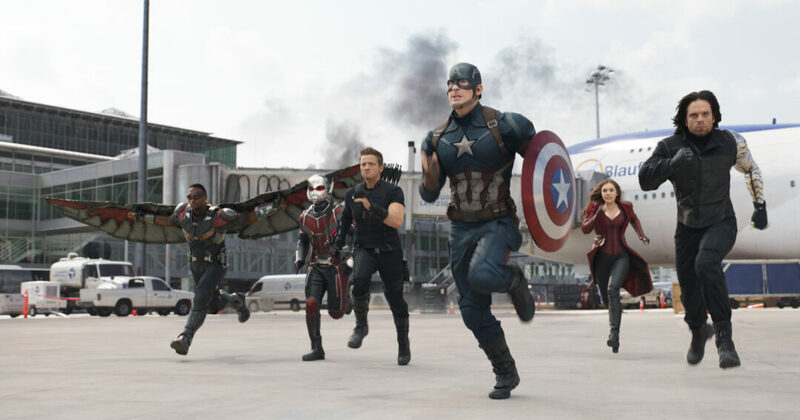 Despite any complaints about the narrative shoe-leather that expands this latest entry to 150 minutes, if Civil War were tighter you might lose the best beats, like the scene where a robot man that used to be a computer program butler tries to make dinner for a girl he likes. What’s more, even if most of the one-on-one fights are failures, the film’s centerpiece, Everybody vs. Everybody showdown is perhaps the most absurdly entertaining spectacle any Marvel outing has yet generated, even without Ant-Man’s supremely delightful realization that he can also get really huge. These movies may be gargantuan corporate product, but they aren’t soulless; their sheer commitment to the weird never fails to impress, and the fact that tiny moments emerge, without fail, as the most interesting is maybe the ultimate backhanded praise. Like, maybe Marvel really did need 13 of these monsters to build its ridiculous characters into beings that resemble actual people.